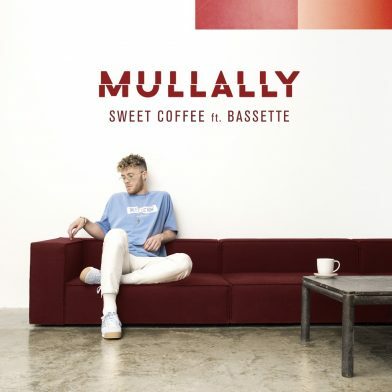 Single Review: Mullally – Sweet Coffee ft Bassette – Listen here! Former Access To Music student, Mullally has just released his brand new single ‘Sweet Coffee’ featuring a stunning vocal offering from London songstress Bassette. At the age of 21, taking priority at Atlantic Records is a huge achievement and will not go a miss. Having co-signed with big names such as Ed Sheeran (who also studied at Access To Music) and supporting acts ranging from RAYE to Jess Glynn and Clean Bandit, he is definitely one to keep a close eye on! Throughout the song, Mullally is constantly using ‘Coffee’ as a metaphor for the girl he can’t get enough of, which highlights his creative side as a lyricist. ‘Sweet Coffee, just one taste and I feel alive’ and ‘get no sleep at night’ both exemplify this. The song also has a cyclical nature as both the start and the end use the same stringed instruments. His voice is of a low pitch through the verses juxtaposed with the high during the chorus which again, highlights his vocal range and diversity as an artist. With the time signature of his piece being a simple 2/4 beat, this allows an easy listen for his audience. The usual take on music he delivers tends to be of a higher tempo however changing it up has definitely sparked a new side of his talent, which is shown clearly through his piece. With an alternative, quirky voice and exceptional song writing abilities, his single stands out from other artists, so one can only admire his individuality. Mullally’s journey is ever growing and I know he has an exceptional amount to bring. So don’t miss out. Keep following his every move, but beware, he’s moving up and up VERY quickly! Mullally’s headline show is at Oslo, on June 12th tickets on sale here!